0 Comments Published by KL Ocs Kid on Monday, December 29, 2008 at 11:23 AM. Benitez has been eager to bring the 24-year-old to Anfield for some time in a bid to bolster his back four, and according to the People, the 24-year-old was given a tour of the club's Melwood training complex in the build-up to Christmas. His rumoured presence at the club's facility has added fuel to speculation that the real reason he missed Portsmouth's Boxing Day thrashing by West Ham is because a deal is done - contrary to the official line claiming he was injured. 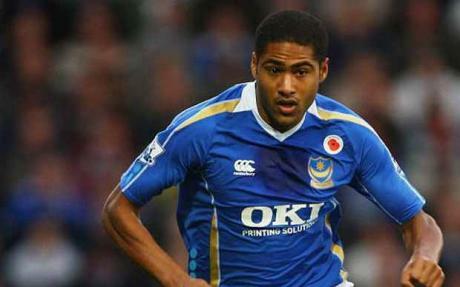 And if the rumours prove true it may be tough for Portsmouth to hold on to Johnson due to their ever increasing debts. Manager Tony Adams already faces losing key players to other big clubs. A return to a big four club would signify a milestone in Johnson's career. During his time with Chelsea he failed to live up to the promise he had shown at West Ham and was soon spending a lot of time on the bench before being sold to Portsmouth. Having revitalised his career at Fratton Park under former manager Harry Redknapp, Johnson was finally granted a return to the England squad. Tottenham winger Aaron Lennon has also caught the attention of Benitez this season, and he is reported to be willing to offer a cash-plus-player deal involving Jermain Pennant to see it go through. Xabi Alonso is being linked with a move to Arsenal and Pennant has also been linked with a move to Real Madrid.